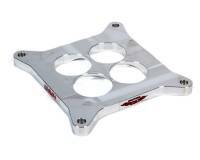 HVH Super Sucker carburetor spacers are the most effective carburetor spacers ever developed. 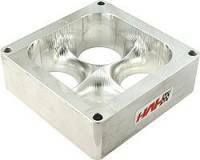 HVH - High Velocity Heads 4150 Carb to 4500 Intake Flange Adapter 1.5"
Pit Stop USA is The Online Motorsports Superstore! We feature HVH Carburetor Spacers. 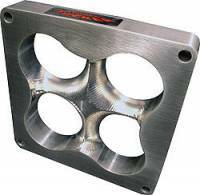 HVH - High Velocity Heads has been porting high performance cylinder heads and intake manifolds since 1970. 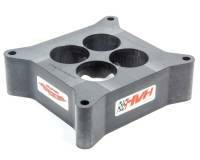 HVH has over thirty years of head porting, head design, intake porting and intake design along with carburetor spacer design experience. Originally HVHV only worked for NASCAR Winston Cup teams, doing their cylinder heads and manifolds. 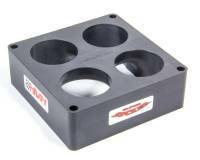 From 1980 to 1992 High Velocity Heads were the best kept secret for cylinder heads in NASCAR Winston Cup racing, capturing countless wins and 5 championships in that time. Over the past several years HVH has had 3 National record holders in Super Stock drag racing competition. 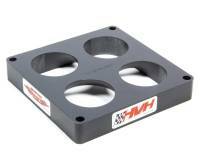 HVH also has their own designed manifolds (the Brodix "HV" line), cylinder heads (Canfields Big Block and 220 cc SBC) and the popular HVH Carburetor Spacers including the HVH Super Sucker Carb Spacers and HVH Street Sweeper Carb Spacers. 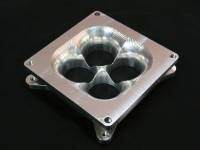 HVH Super Sucker Carburetor Spacers have been featured in Car Craft, Dirt Late Model, Late Model Racer, Camaro Performers, National Dragster and Super Chevy magazines! 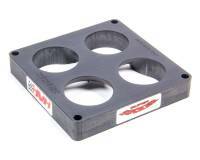 HVH Super Sucker carburetor spacers are the most effective carburetor spacers ever developed. HVH Super Sucker carb spacers add up to 47 HP naturally aspirated, and 500 HP with nitrous oxide. HVH Super Sucker carb spacers also properly distribute the air/fuel mixture to the manifold. Improvements in the throttle response, driveability, top end horsepower and torque are commonplace when using a Super Sucker. 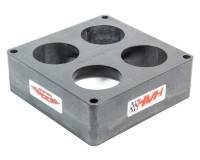 HVH Street Sweeper Carburetor Spacers increase throttle response and insulate the carburetor. 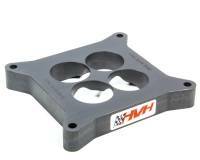 We offer HVH products at low everyday prices!